The Building Limes Forum exists to encourage expertise and understanding in the appropriate use of building limes and education in the standards of production, preparation, application and after-care. 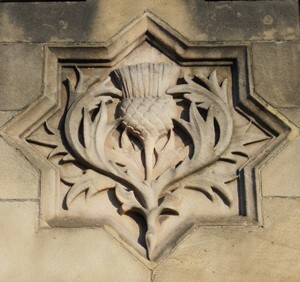 The Building Limes Forum is a Scottish Charitable Incorporated Organisation with over 400 members in the UK and overseas, the majority being actively concerned with the repair of historic buildings or in the use of lime in new build. There are independent Building Limes Forums in Ireland (Building Limes Forum Ireland), Scandinavia (Nordisk Forum for Bygningskalk), Italy (Forum Italiano Calce), Switzerland (Calcina: Fachverband für Kalk), Iberia (el Fórum Ibérico de la Cal) and Mexico (el Foro de Construcción con Cal). The Building Limes Forum has a chapter, not yet independent, in Australia. Members of the Building Limes Forum form a community of lime enthusiasts and practitioners, most of whom are producers, suppliers, specifiers or users of lime. Membership provides access to this wide body of accumulated experience and expertise and an opportunity to share your own knowledge. Membership is open to all.